A beautiful trek for the enthusiastic nature lover. 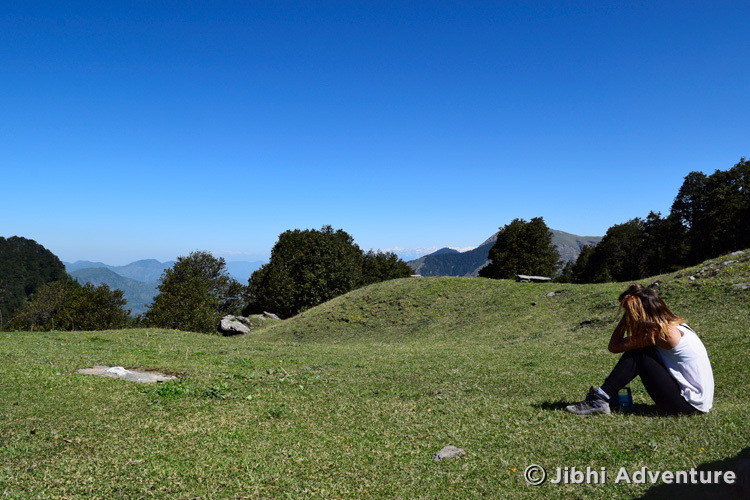 This trek offers beautiful mountain views of high altitude Himalayan snow capped ranges. Trek passing through stretched high altitude meadows gives an opportunity for an ideal introduction to trekking through the Himalayas. 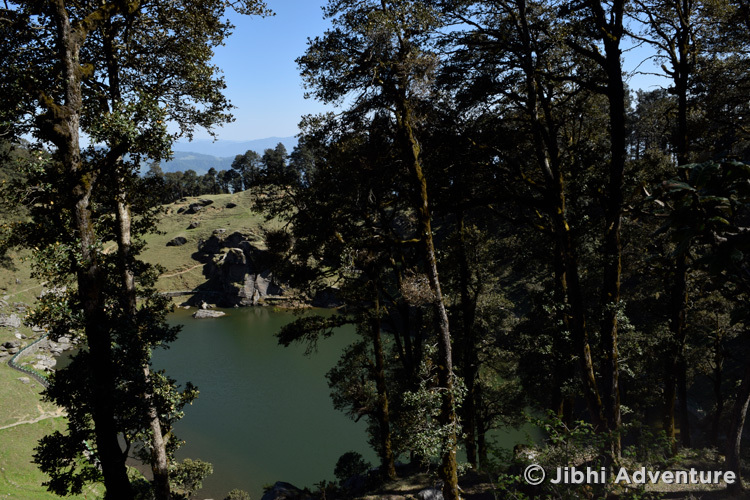 The pleasant walk leads through thick pine and Deodar (cedar) forests and high altitude Himalayan hamlets offering great panoramic views of the surrounding snow ranges. Walking along the mountain ridges, we will pass an ancient fort of a local king and the holy Seraul Lake (2980m), passing through a variety of landscapes. 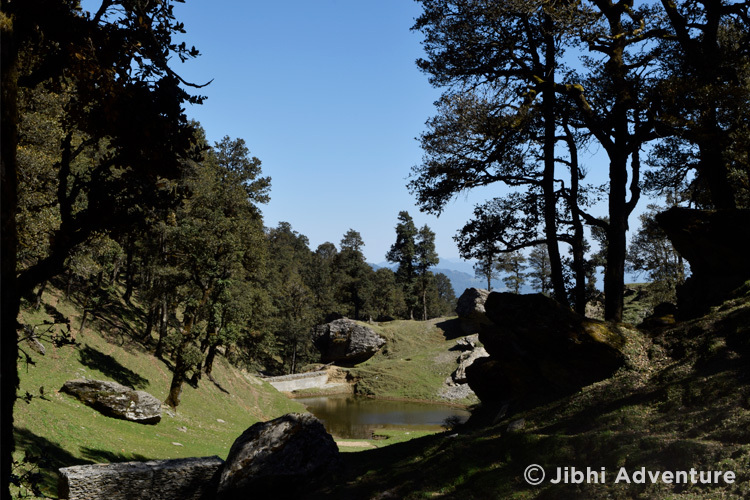 Starting from Jibhi, we will travel 12km by cabs till Jalori pass and then walk through thick oak jungles to Seraul Lake (7Km). The trek then continues along the ridge at an altitude between 3200 and 3600m. We walk through open meadows and stands of Himalayan oak. 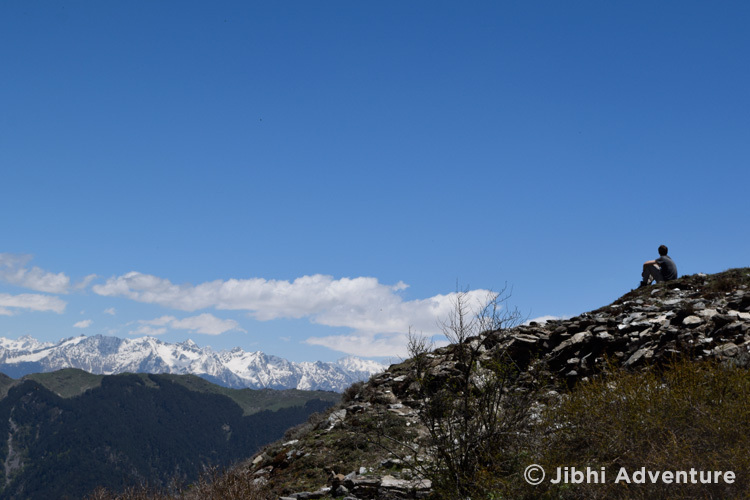 Along the way, we pass ancient shrines of Hindu deities, and there are magnificent views of the surrounding hills and snow capped peaks of the Great Himalayan National Park. The trip also includes an excursion to the crystal caves, where you can collect your personal mountain crystals as a memory to take along with. There will be plenty of time for bird watching along the route. 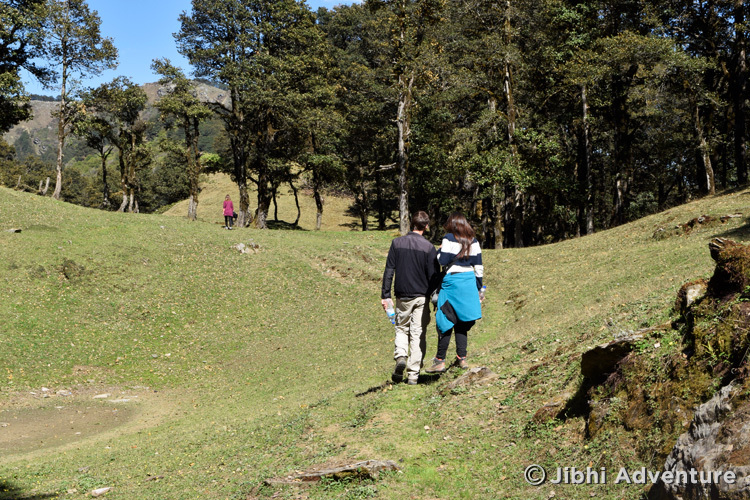 On the last day we descend through thick forests again until we reach back Jibhi. A gradual ascend to reach Notchi top (3567 Mt) and then descending down to base of Cheara top ( 3579 mt)(6 hours trek). This will be a longer day compared to other trekking days. An easy day on the trail, after breakfast visit the quartz crystal, pick your personal favorite as a memory of the trek en-route, visit the Lambhari Shrine the highest point ( 3610 Mt) of the trek and descending down to a very beautiful camp sight at Sarthi Thach. All camping gear i.e Dome tents on twin occupancy/ sleeping Bags with thermal liners, inflated mattresses, Kitchen and dining tents, toilet tent. Three times a day nutritious meals from Day 01 Packed Lunch to Day 04 packed lunch. Cooks /Guide / Porters etc. Transport to and from the trail head back to Jibhi.